You may or may not be aware that I am a bit of latinophile, loving all things South American – its football, women and also its architecture. That’s why I am a little excited to see that Chilean architect, Mathias Klotz will be presenting the first of this year’s Dean’s Lecture Series at the University of Melbourne on the 16 March 2010 at 7pm. Also worth checking out is the associated exhibition which will be running from the 8 -19 March 2010 at the Wunderlich Gallery. If you want to check out some of Klotz’s work, check out his website here. This entry was posted in events and tagged mathias klotz, university of melbourne. Bookmark the permalink. 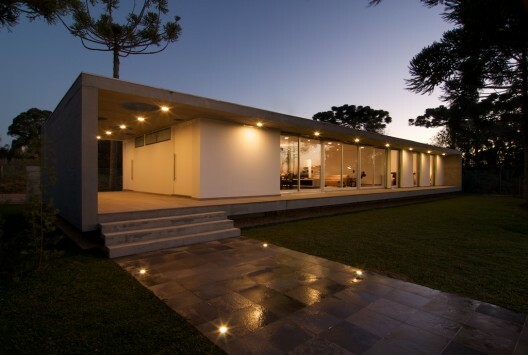 This house is a project of the Brasilian Studio – Estudio Paralelo, the project name is Bertoli House (casa Bertolini).